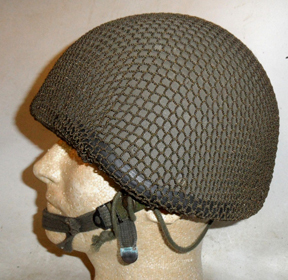 From the late 1970s a number of Western countries began to develop new combat helmets made of composite materials or ballistic plastics. The most commonly used are Aramid nylon (i.e. Kevlar or Teuron); polyethylene (Spectra, Dyneema or Corlon); and Glass-Reinforced Plastic (plastic impregnated with glass fibres). The use of composites allows more scope for designing a ballistically desirable shape than pressed steel. 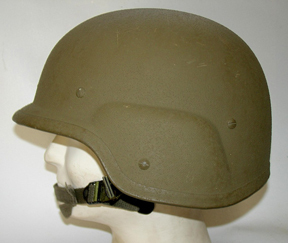 The best known of these early composite helmets was, of course, the US Personal Armour System, Ground Troops (PASGT) colloquially known as the “Fritz” from its resemblance to the old German Stahlhelm, but both Britain and Israel introduced ballistic helmets at this time, the GS Mk.6 and Orlite OR201 respectively. 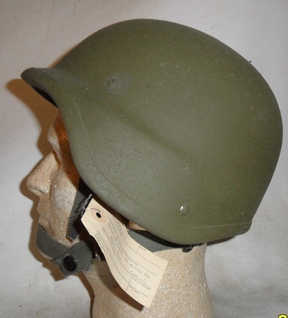 Phase I (Jan 84 – Oct 84) Examination of foreign helmets for deficiencies in the area of comfort, acceptability and equipment compatibility. Phase II (Nov 84 -Mar 85 ) Development in conjunction with industry of an advanced development model based on design criteria, established during Phase I. Phase IV (Nov 85 -Mar 86 ) user and ballistic trials and establishment of final modifications. 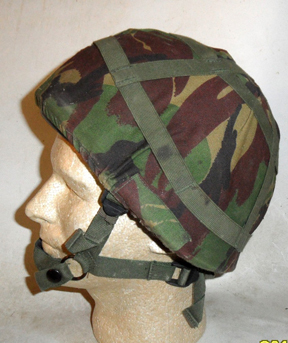 In 1984 examples of the new British, Israeli (a Kevlar export version, the OR402 was used) and US helmets were obtained and subjected to field trials. These were held at Heals Range in Saanich Country on Vancouver Island between October 1 and 12, 1984, using 20 soldiers from 3rd Battalion PPCLI. The aim of the trails was to obtain precise information, under controlled conditions, so the design authority could contract with Canadian Industry for the development of a prototype Canadian helmet. Note that from the get-go the intention was to develop a helmet in Canada, not to procure one off-shore. Each soldier received a helmet for a day and half for evaluation, before being given another to try out. Tests included operating various individual and crew-served weapons, determining how well the helmets fitted with communications equipment, NBC gear, hearing protectors, cold weather caps, and fragmentation vests. They also evaluated the helmets’ stability during Section field craft and over an obstacle course. 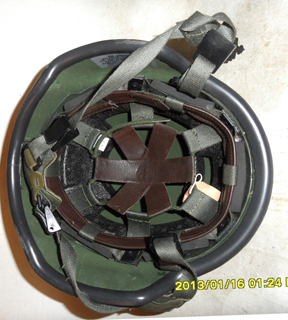 Some of the US and Israeli helmets were modified by swapping their respective chin-straps. 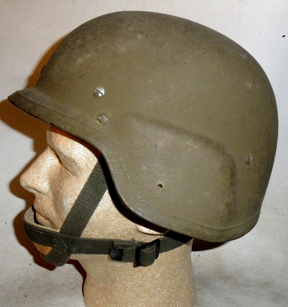 The PASGT normally has a two point chin-strap, the Orlite had a three-point harness copied from the old British airborne helmet, and the Mk6 had a more modern three-point harness. Overall, the Israeli helmet came out best, except its old airborne harness was found to be incompatible with the Canadian NBCW mask. The PASGT’s main problem was stability, when used with a two-point chin-strap, but when retrofitted with the Israeli harness it proved practically impossible to sight most weapons. The PASGT’s peak was also found to obstruct vision, while its Germanic appearance caused some negative resonances. The British helmet came off well in terms of stability, weapons sighting, easy adjustment, and its three point quick-release chin-strap. However the brow pad and head band tended to cause sweating and it was not compatible with the Canadian respirator. 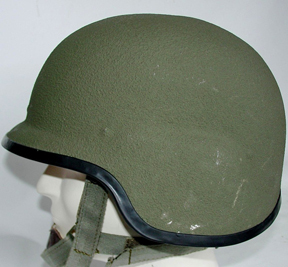 Subjectively users felt its dark green shell was not as ballistically strong as light green US and Israeli helmets. 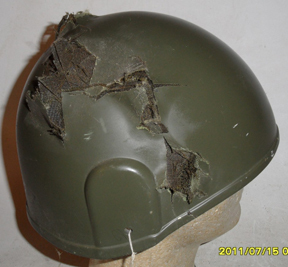 This view may have been influenced by the ballistic trial where the British helmet was “completely destroyed”. 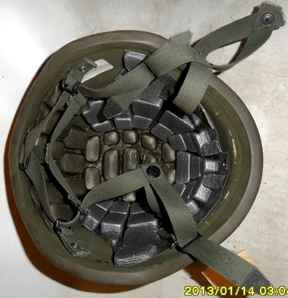 The Israeli helmet fared little better, while the PASGT proved the most resistant. 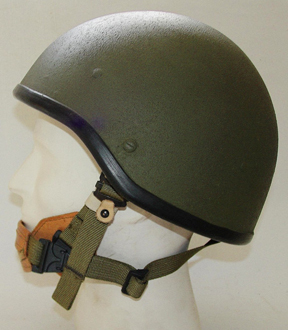 Overall, it was concluded that a hybrid of the Israeli helmet, using a revision of the US internal suspension and a British-type three-point chin-strap with no chin-cup but a direct-snap quick release buckle would best meet the Canadian Forces requirements. Interestingly enough, around that time Orlite did bring out a revised version of its helmet with such a harness (except it did have a chin-cup). It was adopted by a number of countries, including Ireland and South Africa, but this seems to have escaped DND’s notice. Instead, Canadian soldiers had to wait another 12 years for a modern helmet, because as originally planned, working out a design was put out to tender, with the winning bid going to the Barrday Co. of Cambridge, Ontario. At the time Barrday was a subsidiary of Allied Signal, which had developed Spectra©. 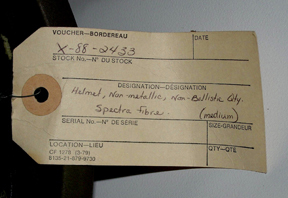 In 1987 Barrday developed a prototype spectra helmet which closely resembled the PASGT, but with flatter sides and a higher back. It had a rather complex three-point web chin-strap and nape support, and a Styrofoam trauma liner, based on that of the Cooper hockey helmet (only in Canada). 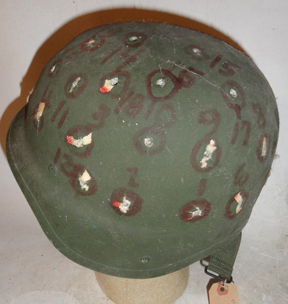 Depending on size, the Barrday P-1 Soldiers’ Helmet weighed between 1.2 – 1.6 kg. helmet. 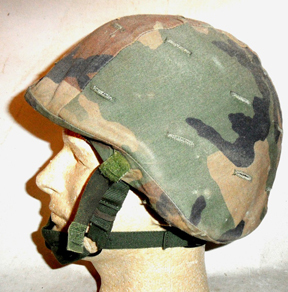 Between 1988 and 1990, Barrday produced a substantial number of helmets (reportedly 3,625) for ballistic, engineering and user trials. Efforts to get information about this program through Access to Information requests have largely drawn a blank, but some information can be gleaned from the driblets that were released. 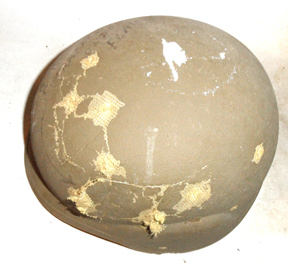 Barrday helmet seems to have performed well ballistically. However, field trials, which took place in 1989 and 1990, identified significant short-comings with the foam hockey liner, in particular severe discomfort from excessive heat build-up (presumably less of an issue on the ice-rink than on the battle-field). 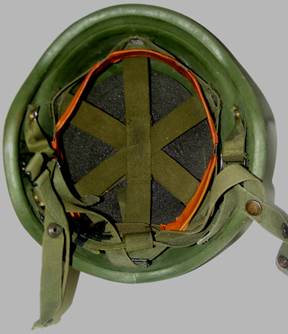 A number of Barrday helmets (now designated P-2 Soldiers’ Helmets) were retrofitted with M-1 cradle suspensions and new trails were held in 1991. 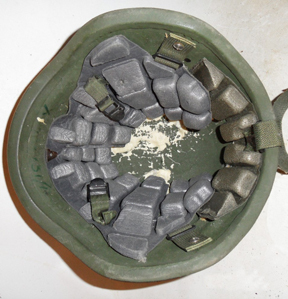 While the heat problem was resolved, and the helmet was almost fielded (some were issued on a limited basis to some of the Canadian peacekeeping contingents, including the Royal Canadian Dragoons in Somalia and the RCMP in Former Yugoslavia), the Barrday helmet proved incompatible with existing and future equipment, such as: the C4 respirator, the Slimgard head-set, the C7A1 optical sight; night vision equipment and the new Canadian armoured vest. 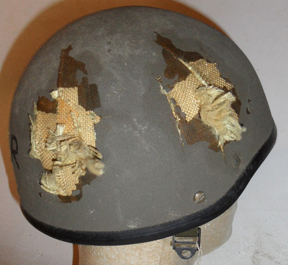 There were also quality control problems – reportedly “delamination” of the helmet bodies under field conditions. The contract was cancelled in 1992, after Barrday was sold off by Allied Signal. 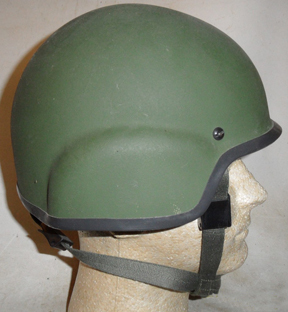 Barrday, however, still offers helmets of this design (but made from Kevlar) for police and commercial export markets. In the meantime, to meet the needs of Canadian peacekeepers, successive off-the-shelf purchases of PASGT helmets were made from the USA. Not surprisingly satisfaction with the PASGT was less than total, as the problems encountered in during the 1984 trials had not gone away. Moreover, painting the helmet (i.e. UN blue) can damage the resin matrix and can lead to delamination. The acquisition of a new helmet was now placed on a “fast track” and rather than re-inventing the wheel (again) it was decided that the new helmet would be acquired “off-the-shelf” with some modifications. These were based to a set of human engineering criteria (protection, fit, comfort and compatibility) that DCIEM was tasked with developing in October, 1992. The renewed helmet project began with testing six off the shelf designs (including the German Gefechtshelm (Schuberth 826), the French TC-3, the PASGT and the Barrday P-2) with 2 Canadian Mechanized Brigade Group personnel at Petawawa. The process was completed in May 1996 and a contract to produce 60,000 helmets was issued to the French company Gallet, which produced the TC-3 helmet, and variants on that theme, for the French, Danish and Austrian armies. The TC-3 marries the PASGT shell with a French lining and harness. It was adapted for Canadian use by reducing the front peak to accommodate the C-79 optical sight, widening the flare at the sides so that it can be used with Canadian headsets, and redesigning the retention system to make it compatible with the C-4 gas-mask. Designated the CG634, the new Canadian helmet is made of Aramid (Kevlar) and has a minimum v50 of 634 m/s (compared to the PASGT’s 610 m/s). To meet “defence industrial benefits” requirements Gallet established a plant at St. Romuald, Quebec. The first production run of 60,000 helmets began the spring of 1997 and there have been subsequent runs to meet on-going requirements. However Gallet was taken over by the USA company MSA in 2002 which closed the St. Romuald plant in 2004. Subsequent buys have had to be placed with MSA in the United States. [i]. Documents released under Access to Information Request A-2008-01286; Personal communications NDHQ DSSPM and Ed Storey, Barrday and Gallet sales literature, Esprit du Corps October, 1998. Very informative post on the development of the new CF helmet.